At the Disney Social Media Moms 2012 conference at Walt Disney World Resort, the rides were some of the greatest sources of excitement and anticipation for all five members of my family. And thus, my children, husband and I embarked on the cool family project of selecting our Top 20 Rides across all the Walt Disney World parks we visited. Ever have dreams of flying? This ride provides that beautiful experience while awake by combining an IMAX projection and movement on a sturdy swing ride 40 feet in the air. Flying over the landscape of my homeland — California — was also great fun. Charlie and Eve yelled hello to their grandparents during, so realistic was the experience! It’s a thrilling ride, a gaming adventure and an innovative romp with the Toy Story characters. 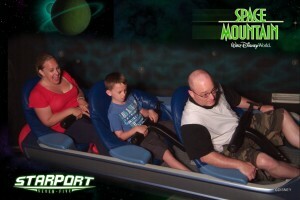 I grew up riding the Matterhorn Bobsleds at Disneyland, and this ride is like the Matterhorn on speed! 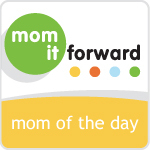 I liked how my eight-year-old son and I could sit side-by-side and encourage each other while riding, and my son liked that the coaster did not invert. However, part of the ride does move backwards and features growls and a movie projection of “the Yeti“. Charlie found this a bit scary during, but afterwards felt like brave Mr. Cool. 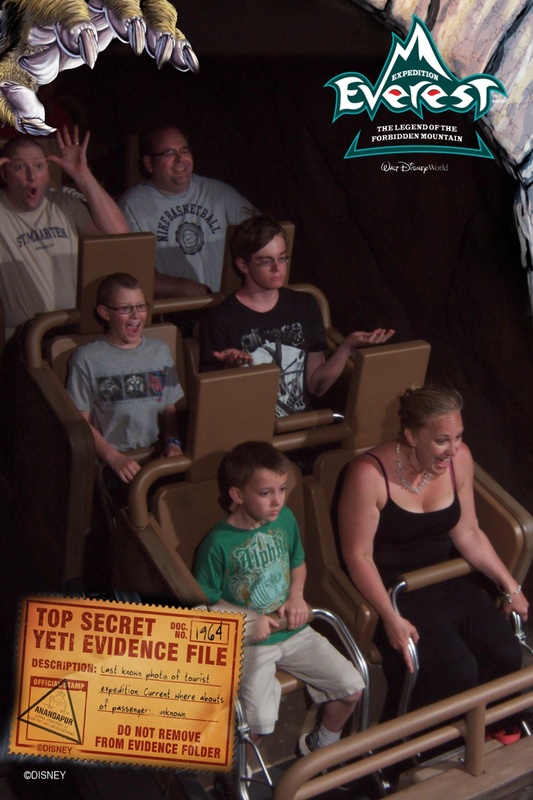 This was my personal favorite rollercoaster EVER. 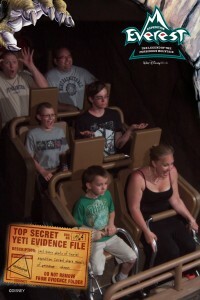 Ride pic from Expedition Everest— unlike the seasoned riders behind us, we did not know when our photo would be taken. I would have pulled my shirt up. 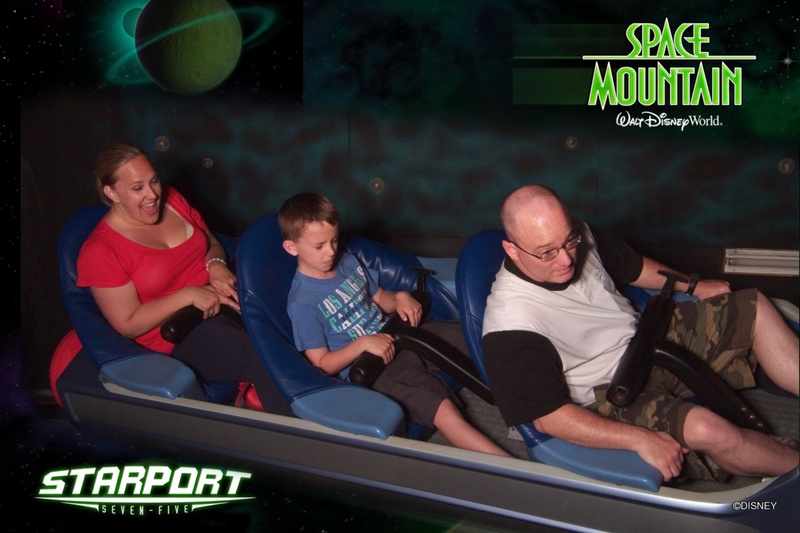 I do NOT remember Disneyland’s Space Mountain (ridden just a few years ago in California) moving this fast — it was incredible! Charlie was very surprised too, but after the first ride with Dad he was game enough to ride a second time with me. By far the fastest coaster I have ridden. It’s a very sci-fi experience in the dark and the viewing of other “spaceship” riders whipping by you is definitely a thrill. Charlie and Eve have forced us to watch all six of the Star Wars films more times than we can count, so it was invigorating to participate in this 3D film/flight simulator combo. This was the first attraction we visited on our very first day of the vacation, so Eve chickened out. However, I believe she would have loved later, after she had gotten the knack of rides, but we were not able to bring her by again. Next time she will love as much as Charlie. A great communal ride. The kids loved getting wet and the rotating river rapid raft. This ride is simply beautiful and is a change from the boat ride format so common with other all-ages rides at WDW.The cars’ tracks are overhead and give riders the feeling of flying. The scenes portray Disney’s animated telling of Barrie’s play, a story so loved in our home we named our Siamese cat Peter Pan. Really. 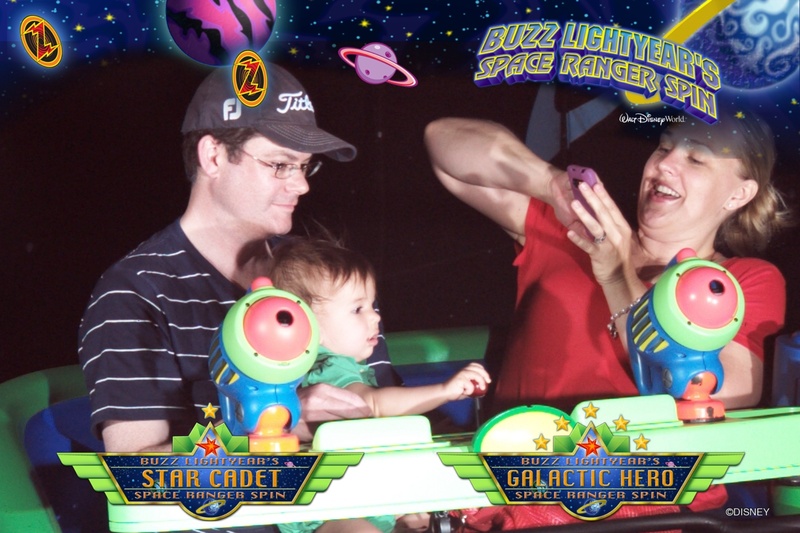 Baby Alice signaled her approval by waving at all the characters and keeping her pointer finger at the ready throughout. The jury is out whether Alice or her mama loved the “singing dollies” the most. I teared up thinking of my late grandmother, wearing her Dodger cap on the Disneyland ride with me and whistling along. Charlie and Evie also had a great time and enjoyed identifying the different countries. We all appreciated the shaded, ceiling-fanned area during our short wait before hitting the boat. This ride was similar to Small World, except set completely in Mexico (specifically, 1940’s animated Mexico featured in the Disney film, The Three Caballeros). The kids loved the silly Donald Duck jokes and the incorporation of both film and animatronics. We are committed Friends of the National Zoo members, and fans of the San Diego Zoo and Safari Park, but we have NEVER been this close to giraffes, rhinos, hippos and even the king of the jungle himself, a male lion. It was beautiful. This ride does not feel like a roller coaster or Six Flags free fall. It feels like you are in a very tall building in the midst of a major accident! When I screamed like a Hitchcock heroine, my terror was admittedly real. I took the big kids on the less intense training mission, and after the children gave their hearty thumbs-up, Chris took them on the more intense, G-force-filled second expedition. Our budding goth girl Eve loved the combination of creepiness and humor. Charlie was not as big of a fan, but he obliged both times. Alice waved at everyone, even those characters missing body parts. 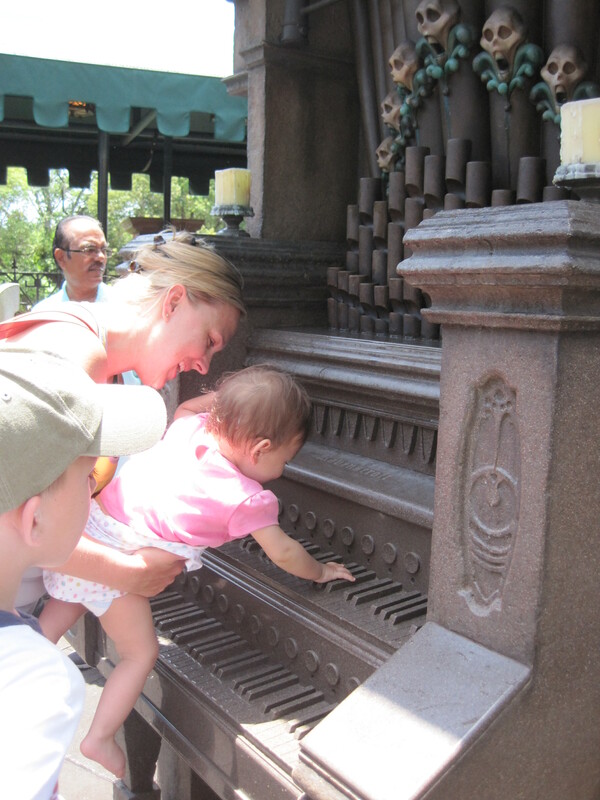 She also played the spooky organ outside! 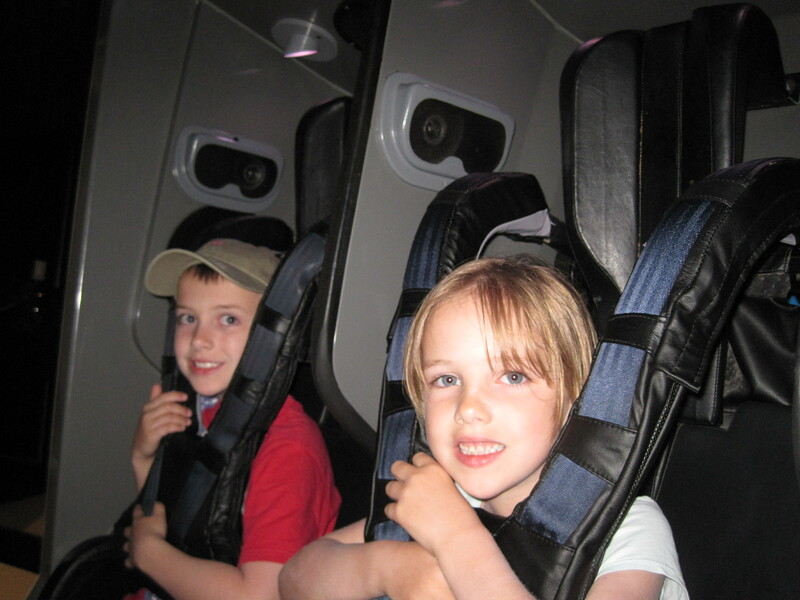 This ride was very similar to Toy Story Mania! at Disney’s Hollywood Studios with a spacey Buzz theme. Alice really had a blast moving our car and firing the space pistol from her daddy’s lap, surprisingly. Families ride along in clams (the same format as the conveyer belt of “coffins” in The Haunted Mansion) for their under the sea adventure. We all especially loved riding the East Australian current with Crush, Squirt and their sea turtle buddies. Childhood memories? Check! A big, dark dip to start the ride? Check? Animatronic Johnny Depp? Check! I also noticed that instead of the pirates chasing women to perform dastardly deeds (save one unattractive woman who chases a pirate), they now are chased by the women themselves for stealing. This ride was very much like Pirates, except with a Viking history lesson. 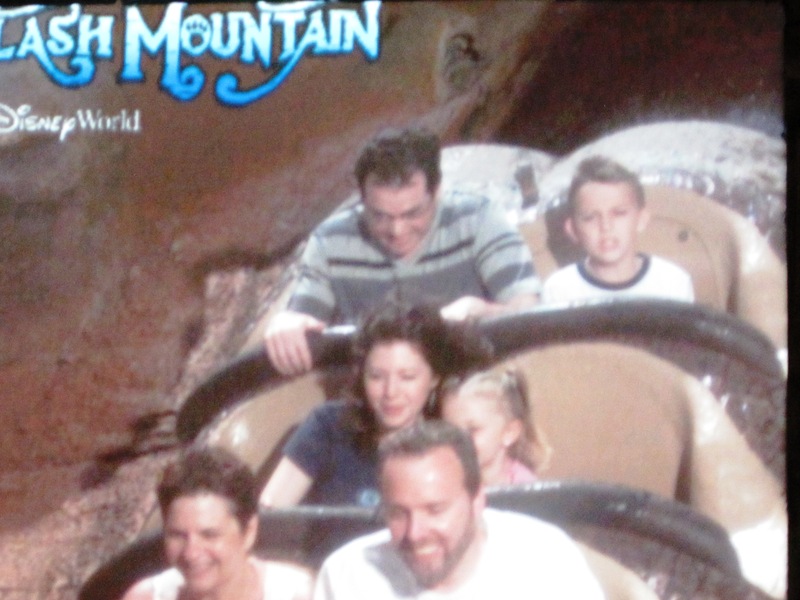 There is one gentle drop and the ride moves backwards for a bit. 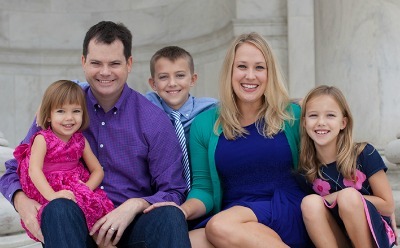 The entire family enjoyed. The Zip-A-Dee-Doo-Dah-singing animal characters from Disney’s Song of the South try and keep your mind distracted from the 52-and-a-half-foot drop at the end. Eve skipped this one, Charlie had a blast. OK guys, even I know when they take your pic on Splash Mountain! No FASTPASS Service – there was no line when we attended at night. 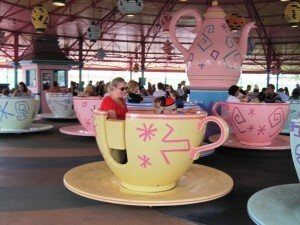 We followed the WDW website Quick Tip of avoiding in the morning when the line is longest. 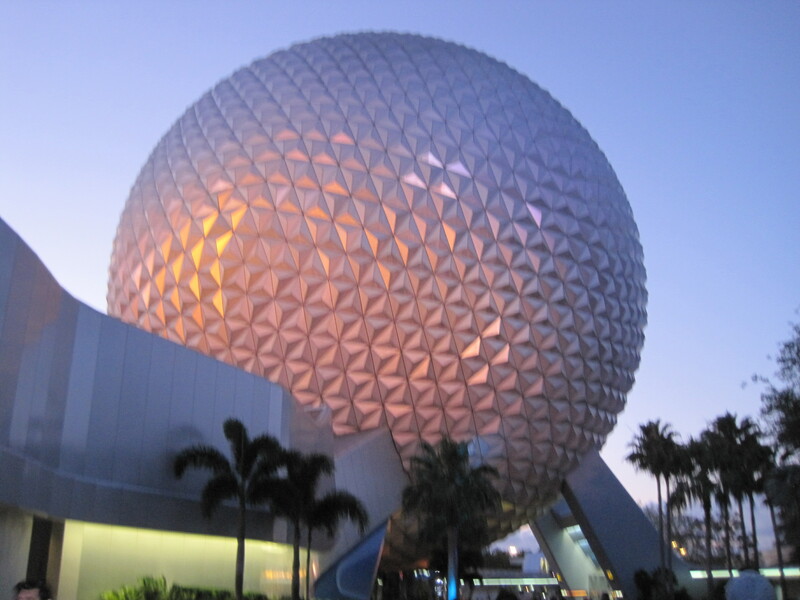 I have always wanted to see the iconic “golf ball” geodesic sphere that is Epcot’s landmark, so taking a ride inside it was very cool. The updated narration by Judi Dench was interesting. Eve was my co-pilot and she thoroughly enjoyed. Available to guests of Disney’s Yacht Club and Beach Club resorts. Not an official ride at the parks, this waterslide off of a on-site pirate ship structure was a HUGE hit with our children. Chris and I also had a blast sliding down with the kids. 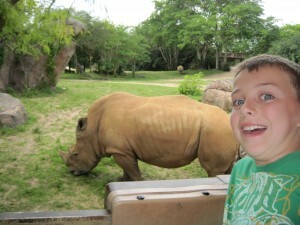 Wild Africa Trek — Disney’s Animal Kingdom: We loved the Kilimanjaro Safaris Expedition so much that we wished we had allowed time to experience the 3 hour VIP tour of the animals in their habitats. Next time we will definitely book! Rock ‘n’ Roller Coaster Starring Aerosmith — Disney’s Hollywood Studios: Our eight-and six-year-olds did not feel ready for a roller coaster that goes upside down, and so during our visits to the Hollywood Studios park we elected to stay together as a family. Big Thunder Mountain Railroad — Magic Kingdom: This ride was being refurbished during our stay. 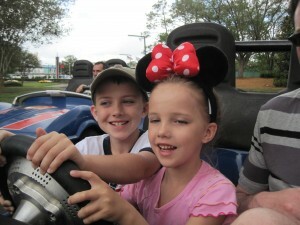 Which Walt Disney World rides did we miss? Leave your own recommendations below! Although the weather was perfect for hitting a water park, we were reveling in spending time together as a fivesome after a hectic winter and spring. 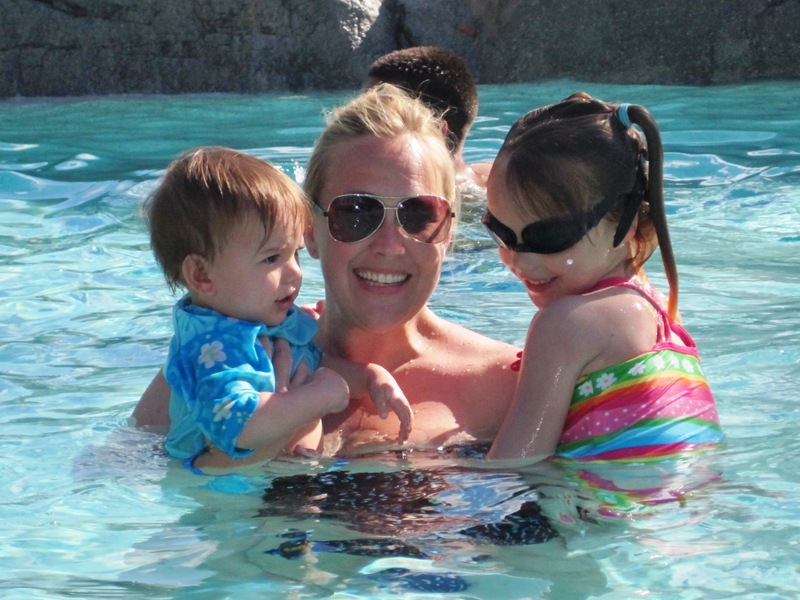 With one-year-old Alice in tow, visiting a water park meant that we would naturally have to split up with one adult lazy river-ing and splash pad-ing with Alice, while the other parent zipped down the slides with our older kids. And since the Walt Disney World resort where we were staying, Disney’s Yacht Club Resort, had on-site water slides, a lazy river, pool games for the kids and a faux beach style pools (with a full bar and ice cream shop, I might add) at Stormalong Bay, it was not a big sacrifice to skip the water parks. 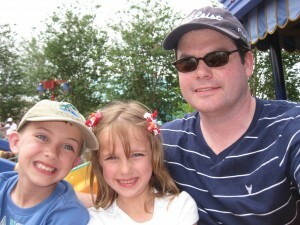 This choice also enabled us to hit the Magic Kingdom, Animal Kingdom, Epcot and Hollywood Studios all twice! 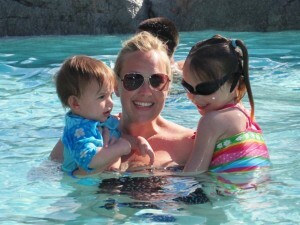 But next time we all look forward to checking out both water parks. 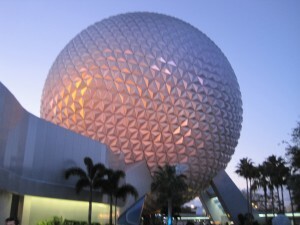 Look out for more posts about the Disney Social Media Moms Celebration 2012 and my family’s recommendations for your own Walt Disney World visits! 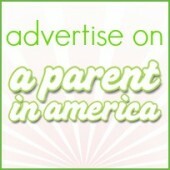 Disclosure: As a blogger at A Parent in America and A Parent in Silver Spring, I was invited to take part in the 2012 Disney Social Media Moms Celebration conference. I paid a conference fee that provided for my conference learning experience, my family’s tickets/passes, our accommodations, some meals and additional perks at a substantially-reduced rate as attendees of the event. I paid for our family’s airfare and travel expenses separately and completely. I was not asked or required to publish content related to the conference or Disney. All opinions are my own. I’m glad you all had fun. I really want to take me kids there when they get a little older. This sounds like such a blast. 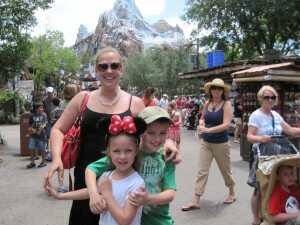 Now that I have been there once, I so badly want to take my kids. They would have such a great time! I loved reading your experiences there and seeing all your photos. Sooo cool! in his/her brain that how a user can know it. Thus that’s why this post is great. What rides do you recommend for grandparents going to Disney World?